Strath Tree Removal. 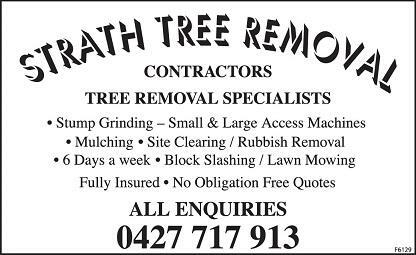 For Tree Pruning, Tree Trimming, Tree Removal, Stump Grinding, Mulching, Site Clearing, Rubbish Removal, Block Slashing, Lawn Mowing. Small & Large Access Stump Grinding Machines.